FOR PEOPLE WHO CRAVE BEAUTY, TECHNOLOGY, SUSTAINABILITY, SIMPLICITY, CREATIVITY AND A SENSE OF COMMUNITY IN THEIR LIVING SPACE. Our first video promoted a crowd-sourced contest, Imagine It At PaPa. We asked people via social media to tell us what their dream features would be at Pacific Palisades, and that we would make them a reality. People entered via Facebook and Twitter. The winning entries were a guest suite, bike workstations and local artwork in public areas. We launched a multimedia campaign (newspaper, radio, transit shelter, digital banner gifs) to introduce the all-new Pacific Palisades to our target audience: renters, particularly those already living in the vicinity. We knew that the fact that PaPa was "new" would hold great appeal. Hence the call to renters to "Raise your standards." It worked. The first open house drew a crowd of nearly 300 people, many of them qualified renters. Window designs to advertise the building's retail spaces. One of our first projects for Pacific Palisades was the hoarding that surrounded the site. 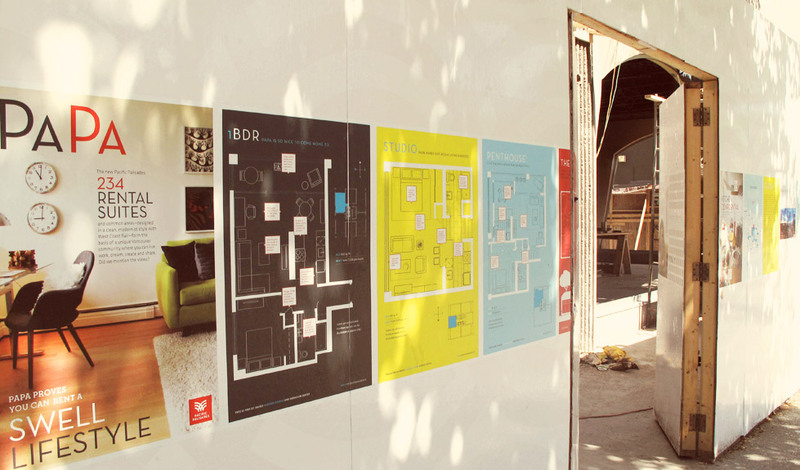 Besides displaying the building's positioning lines and photography, we also created a series of magazine-type posters that included the floor plans, suite details and other interesting facts about "PaPa". The hoarding was mentioned by more potential renters as the way they found PaPa than all other forms of media and became one of our most valuable assets during this project. We put a "magazine" on the hoarding in the form of posters. View the posters in detail. This video provides a tour of Pacific Palisades past and present and features the original developer, Mel Zajac, and the new owner, Gordon Diamond (chairman of Austeville Properties). The video got its title from Mel, who when he saw Austeville's vision for restoring the iconic towers, exclaimed, "My baby's back!" From Spring 2011 to December 2012, Vancouver’s iconic Pacific Palisades towers underwent a conversion from hotel to 234 sparkling new studio and one-bedroom rental suites. 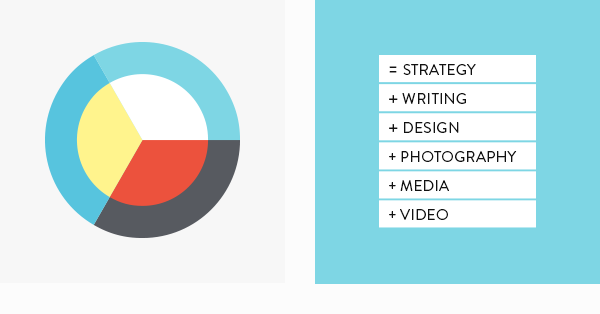 Combo developed the brand strategy and marketing plan, and executed all creative.